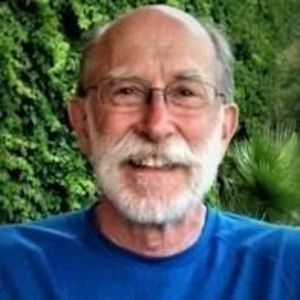 Philip Stark Letsinger, 78, of Raleigh, NC, died on October 24, 2017. Phil lived a full life of purpose, service, and civic virtue, leaving an indelible mark on the community fabric of Raleigh, his adopted hometown. He was born on July 21, 1939, in Fort Wayne, Indiana, to James Everett and Sophia Stark Letsinger and grew up in Fort Wayne, graduating from Elmhurst High School in 1957. Phil wanted to be an architect from an early age. He obtained a bachelor's degree in architecture from Miami (Ohio) University in 1962 and a master's degree in city planning from the University of Pennsylvania in 1964. His graduate studies were supported by an American Institute of Architects scholarship and a Sears Roebuck Foundation fellowship. After graduation, Phil served as an architect in the Peace Corps, working in Brazil from 1964 to 1966. This experience in the Peace Corps became the template for his later accomplishments in service to others. He maintained his involvement with the Peace Corps throughout his life. Settling in Raleigh in 1966, Phil soon became an integral member of his local community. He joined Pullen Memorial Baptist Church in 1967, and for nearly 50 years, he was devoted to his community of faith at Pullen. His fingerprints are evident in the tranquility of the Siler Memorial Garden, the art adorning the sanctuary, and the functionality of its buildings. His architectural background was put to good use working with the Handy Corps and the Building and Grounds Committee, of which he was the chairman for the past several years. He went on several mission trips with other Pullen members to Pullen's sister churches in Cuba and the Republic of Georgia, to Hazard, KY to work with the Housing Development Alliance, and to Nicaragua with AMOS Health and Hope, a partner organization of Pullen Church. He was also deeply involved with another Church partner, Method Child Development Center, for many years. Phil was a dedicated, long-serving volunteer at Shepherd's Table Soup Kitchen, where he prepared meals every Thursday! Phil was also a fierce defender of his neighborhood, Fallon Park. He preserved its character by leading a successful re-zoning effort and by serving on the Five Points Citizens Advisory Council. As encroaching development threatened to alter the character of Raleigh's oldest neighborhoods, Phil remained steadfast in his determination to preserve their historical imprint and charm. He felt that Raleigh should remain a welcoming city of diverse communities, and he devoted himself to this cause for over 30 years. As part of this advocacy, in 2007 he joined with other neighborhood advocates to found Community SCALE. He was a founding member and chair of the Fallon Park Neighborhood Association, and starting in 2015, he worked with a coalition from Fallon Park and Hayes Barton to create conditions that would encourage the growth of native plant species in Raleigh's older parks. As a professional architect and city planner, Phil was self-employed during the 1970s and 1980s, assisting communities with planning and historical architectural surveys. He also worked as a facilities project manager for Duke University. He worked with communities such as Rocky Mount on disaster recovery, which guided him into the next part of his career. From 1994 until his retirement in 2007, Phil worked in Emergency Management for the State of North Carolina. In his spare time, Phil enjoyed volunteering, tutoring young people, traveling and mission trips, fine arts and crafts, modern design, classical and Cuban music, gardening, being outdoors, cooking, and participating in local governance. Phil is preceded in death by his wife of 33 years, Judith Jeffreys Letsinger. He is survived by his partner, Vivian Hunter, his older brother and sister-in-law, Robert and Joanne Letsinger, his nephews and niece, Robert, Peter, and Sally, and their families. Phil was equally close to Vivian's children, Susan and Eric, considering them his "bonus children." Phil is also survived by countless close friends and informal family, including his Cuban "son" Brian Julio. Phil's friends and family remember him as a loyal observer who anticipated the needs of others. His quiet service and leadership will be missed. His death is an acute loss to his friends, family, and community. A memorial service will be held on November 18 at 11:00 AM at Pullen Memorial Baptist Church, 1801 Hillsborough Street, Raleigh. Phil was also recognized during a memorial service on October 30 in Matanzas, Cuba. Raleigh, NC 27605; and Shepherd's Table Soup Kitchen, 121 Hillsborough St. Raleigh, NC 27603.